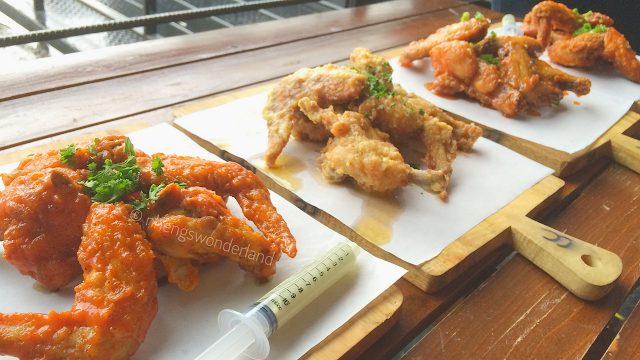 Last weekend, I visited the new food park in Tomas Morato. I know its a bit far from my place but I still dig in for another food adventure. "Walang malayo sa taong gala", there goes my motto he he he! 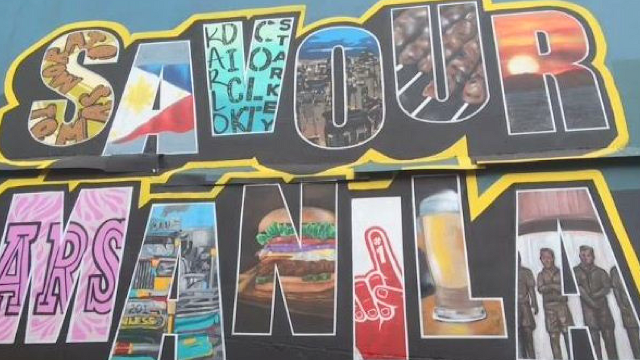 Savour Manila is a food park near ABS-CBN and beside Guilly's. It has 18 stalls and has a second floor al-fresco dining. It is well ventilated on the 2nd floor which has enough sitting capacity for diners. Now here's a little guide for you on what to order at Savour Manila. Chicken Cartel is all about chicken wings! Ranging from different flavors such as Original Buffalo, Classic BBQ, Garlic Parmesan, Honey Sriracha, Japanese Soy Glaze, and Flaming Hot. Into spicy food? Try their Flaming Hot and see for yourself! Side kicks are available such as French Fries and Chicken Skin. 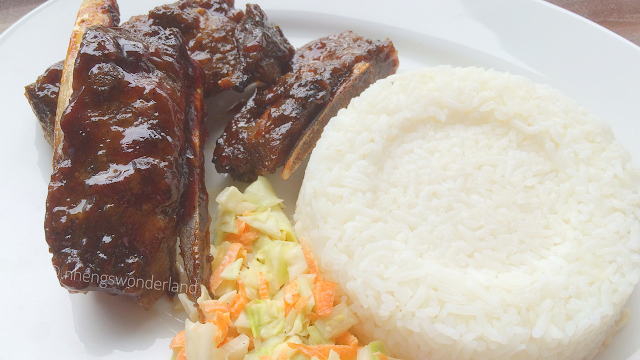 Yummy Belly offers Lechon dishes. 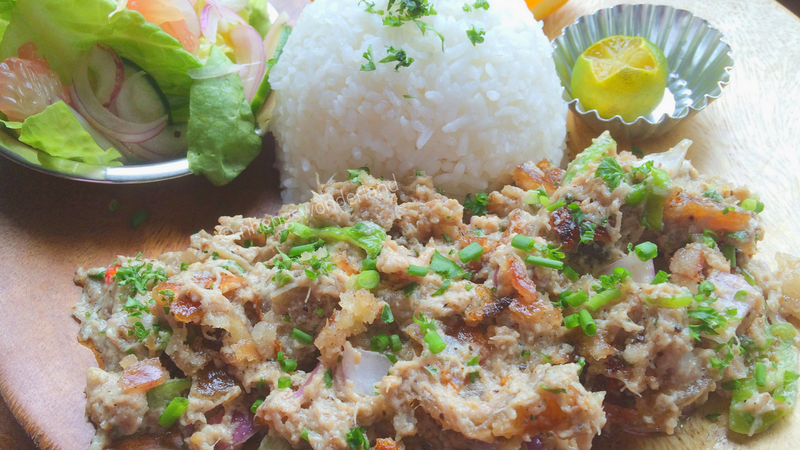 Their Lechon Belly Meal Platter is the original menu compose of lechon belly with salad on the side. They even have Lechon Mami for rainy days. What to order? Lechon Belly Dinakdakan! This is their Ilocano style sisig. I hope they will offer an extra rice for this. Makan comes from the word 'eat'. They specializes on asian fried rice with a lot of choices. What to order? Order their fried rice according to your liking (binagoongan etc) then add toppings such as mozarella cheeseballs plus Chrysantheum Ice Tea which has edible flowers that is good for the health too. 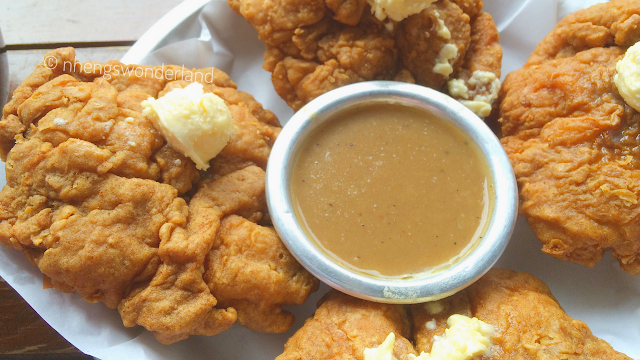 From the word itself, Honey Butter Fried Chicken is their bestseller. This is their signature flavor. Tip: every Tuesday from 12 noon to 5pm you can get a buy one take one fried chicken on a price of one until September 12 only! Hawker Street derived its food from Singapore Street. They also have special balls from fishballs, squid balls, crab ball, snow shrimp and special balls platter. They have Laksa Noodle Soup and 5 Spice Pork. 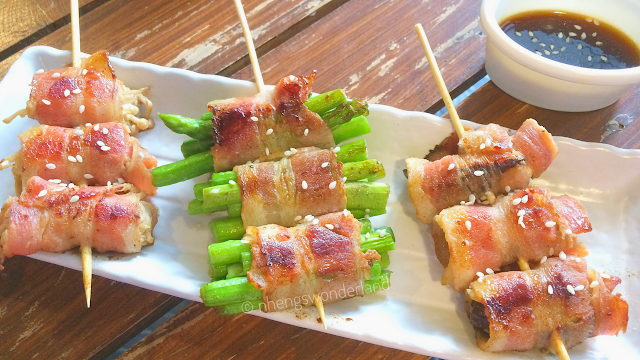 Try their Laksa and add balls to your liking plus these Sticks Bacon Wrap. Need I say more? They offer tasty ribs. Como offers delight in every bite! Wow that rhymes! 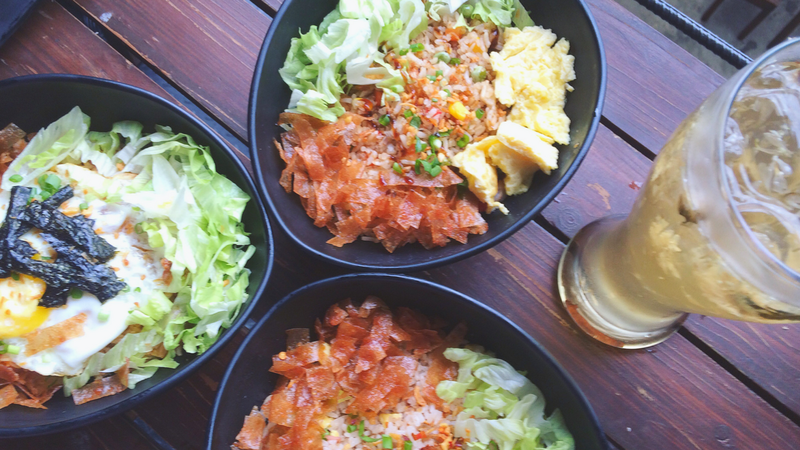 Try their fried rice with wagyu cubes on top! So yummy and tasty! They also have pastas and panini. 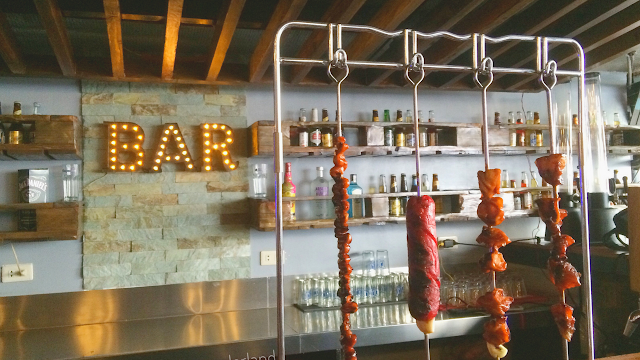 Go Grill is your one-stop for your bbq cravings. Love their saucy isaw! Cafe Churro will be your newest Churro Cafe. 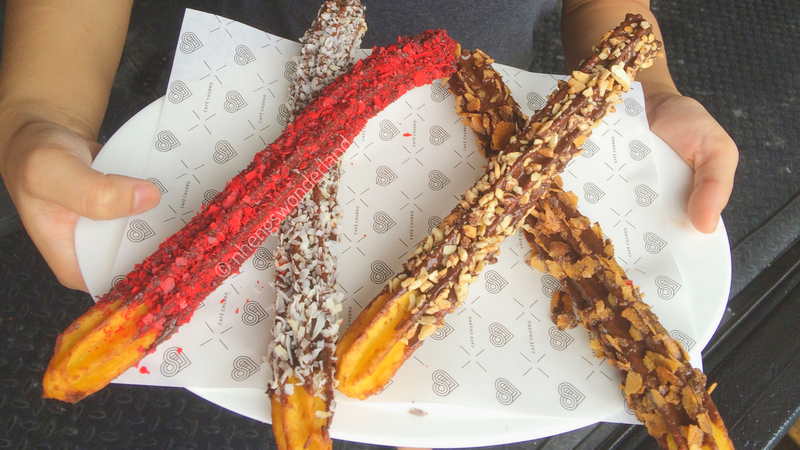 They serve freshly made Churros with crunchy twist. Coated with chocolates plus nuts, cashews then add it on your ice cream. Yum! Murtabak Manila offers pie like any other. 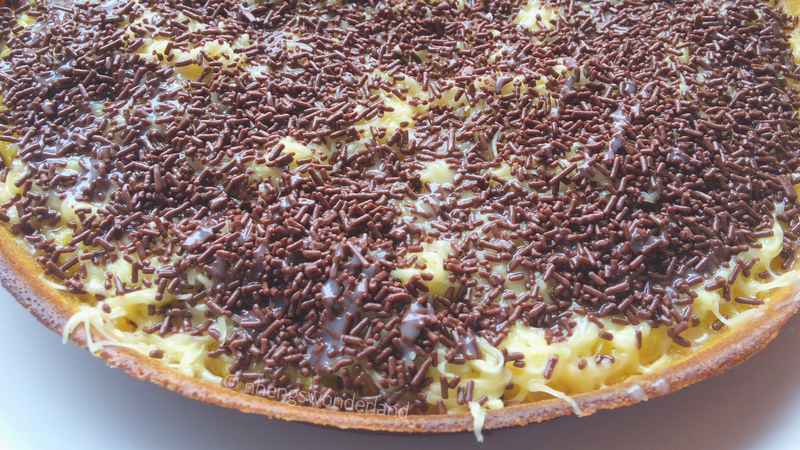 First time to try something like this and I know this is the kind of dessert that I love! They have choco cheese, matcha, red velvet and a lot more. They used Murtabak dough and only premium chocolates. Order the 9 inch for P99 only! Visit Savour Manila for your savory food appetite now!